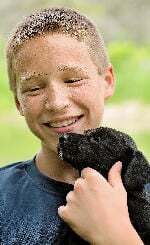 Darien, WI -- Cole J. Fuller, age 17, of Darien, passed away on Thursday, April 4, 2019, in Darien. He was born in Waukesha, on February 13, 2002, to Jeff and Robyn (Hansen) Fuller. Cole was a student at Elkhorn High School, and recently started attending Milton High School. He loved sports and was very active in sports in high school playing baseball and football and also enjoyed hunting. Cole is survived by his mother, Robyn (Steve Wilson) Hansen, of Darien; his father, Jeff (Kate) Fuller, of Delavan; two brothers, Clayton and Callahan Fuller; grandparents: Robert and Gail Hansen, Orville and Beth Fuller, and Sharon Fuller; and a step-brother, Andrew Wilson. Cole is preceded in death by his uncle, Mark Thor Jacobson.